A LATE-WINTER STORM is set to batter Spain starting TODAY (Tuesday) with weather warnings for rain, snow and wind issued. 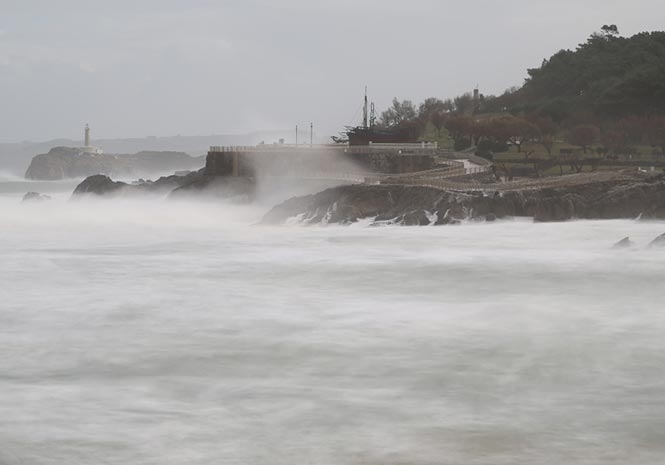 According to state weather agency Aemet, Storm Emma is expected to affect north-western and central Spain today, with Galicia on orange alert for snow and coastal phenomenons. Castilla-La Mancha, Castilla y Leon and Aragon have been placed on yellow alert for snow. Valencia has also been placed on orange alert for snow, with parts of Alicante on yellow alert as well. The downpour will move to Andalucia and north western Spain tomorrow with yellow alerts for wind in Almeria, Granada, Cadiz, Sevilla, Huelva and Cordoba. On Thursday Malaga and Almeria will be placed on orange alert for strong winds while the rest of Andalucia will be on yellow alert for rain and winds.